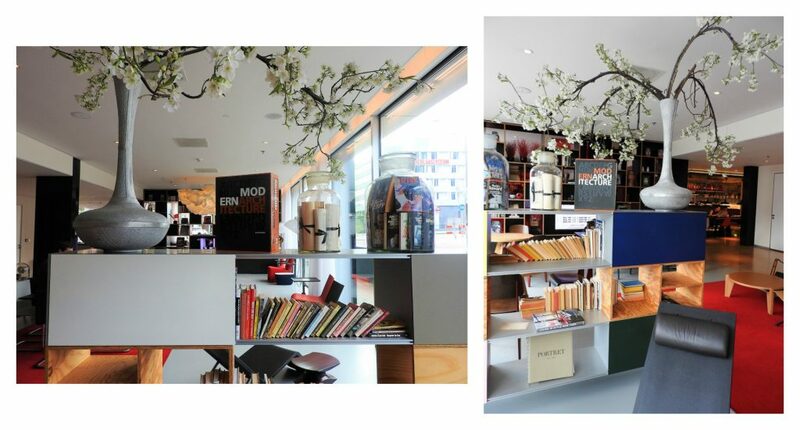 citizenM Amsterdam: Amsterdam's coolest boutique hotel! Guess what? My boyfriend and I recently added a new citizenship to our collection of visas, passport stamps, and confused identities. 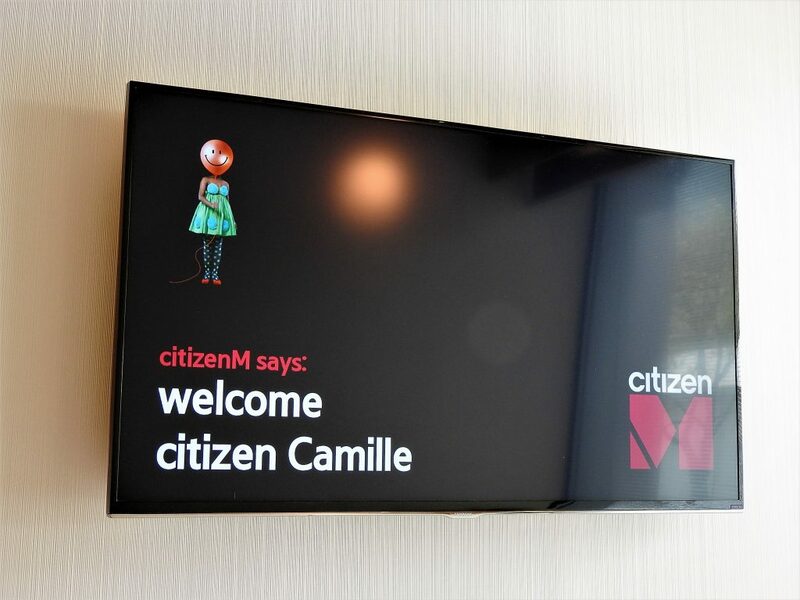 Last month, we became members of the citizenM universe when we stayed at CitizenM Amsterdam! 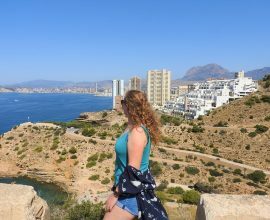 It’s ironic that I fell for a Dutchman, since The Netherlands have been a big gap in my travels. Until last month, I had never been, and I knew shamefully little about the country. 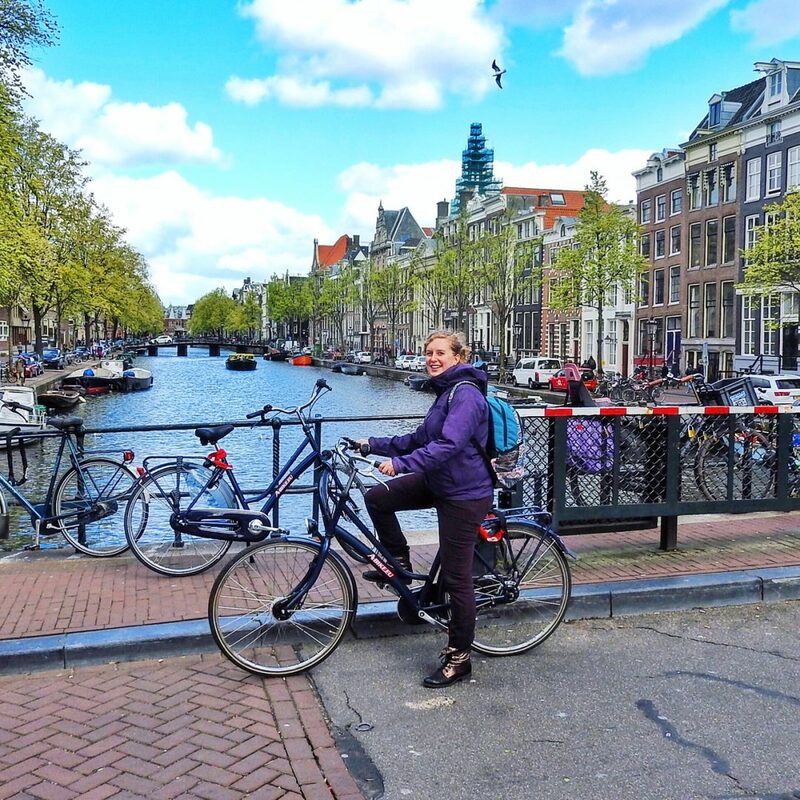 Yup: despite growing up near Paris, living in the UK for 9 years, and spending the last summers roaming Europe, I had somehow managed to fail to go to Amsterdam! So, I was quite excited to visit Bauke’s family in April. Although they’re only based twenty minutes away from Amsterdam and we could easily have commuted there every day, I knew that I wanted to spend at least one night there to get the full experience of discovering a big city. Cue: citizenM Amsterdam. 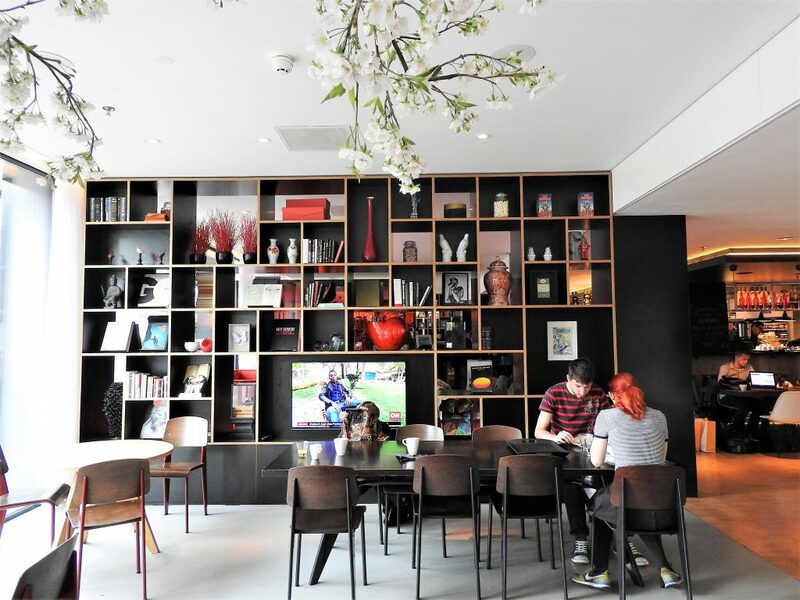 1 What’s citizenM Amsterdam like? It’s…well, it’s really damn cool! 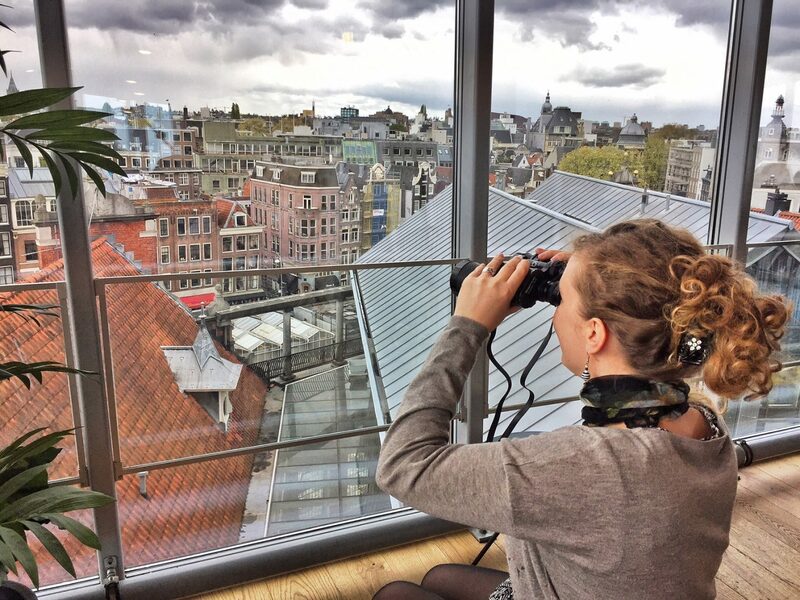 What’s citizenM Amsterdam like? It’s…well, it’s really damn cool! The hotel’s website had warned us: at citizenM Amsterdam, we wouldn’t find things we don’t need. No ‘trouser presses, bellboys, pillow chocolates, terrible towel swans’, and other cliché tokens of old-world luxury! Instead, the chain is all about providing affordable, practical luxury for modern travellers and the new breed of mobile citizens of the world. That emphasis on the modern and practical is obvious from the get-go. No need to fill out a long form, hand in our documents to be photocopied, leave a credit card deposit and whatnot. Instead, we were directed to the one-minute self-check-in machines. That’s right: you just enter your booking number, select any extras you wish (e.g. late check out), scan a magnetic card, and boom! You’ve got your key. Payment? No need to worry about carrying cash – you will be billed directly by email at the end of your stay. If we were already impressed with this swift process, it got even more high-tech and interactive when we got to our room. When I say room…it was more like a concentrate-of-cool, Japanese-capsule-meets-plush-comfort mini-home. The strength of citizenM bedrooms is not their size, but their smart and funky design that packs in a lot of features in a limited space. Giant flat screen? Tick. Egg-shaped pod bathroom and toilets? Tick. Power rain shower? Tick. Oh, and did I mention that they also manage to fit a massive, XL-sized bed in there?! Not only that, but we were really excited to find that our room came with an iPad. The latter was filled with a large selection of free movies to watch, and a range of controls that made us feel like we were in a space ship. 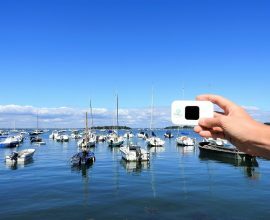 At a few clicks, we could adjust the room’s temperature and lighting. We were even able to create special lighting effects for our pod-bathroom and pod-toilet. (In case you want to get into the right atmosphere straightaway, you can also choose one of the pre-programmed mood settings: party, work, relax, movie night, etc.) Oh. the. fun! After spending some time playing with our new iPad and pillow toys, we headed back downstairs to check out the common rooms. We found that the cool factor extends to them. Besides a boat-style bar/restaurant where we enjoyed a big buffet breakfast (included in the room price), the ground floor has three open-space common areas. With their designer furniture, books, and inspiring deco, they’re part cosy living-room, part library, and part treasure trove of eclectic, exotic objects. That makes them great both for chilling and for a little work on the go. In fact, as digital nomads, Bauke and I often need our accommodation to have an area where we can whip out our laptops and do a lil’ hustling. That can be a struggle in some places, but citizenM triple-delivered in that respect! What else is ace? The convenience of the design carries into the location. 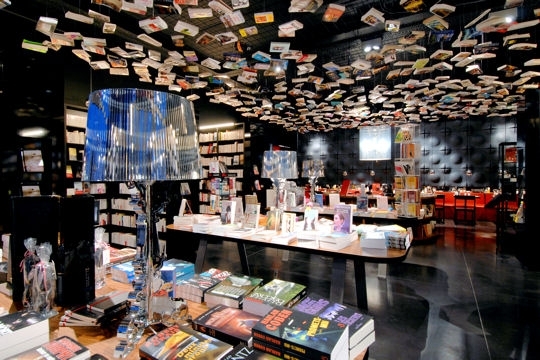 While citizenM is not at the very heart of the city, it in in the immediate, quieter outskirts of the historical centre. This makes it only a short bike or tram ride away. If you’re feeling active, hop on one of the bikes provided by the hotel and get your cycle on. (It’s kind of a must-do in this bicycle-obsessed city!). Just make sure to rise early, as they get snatched up fast. If you had a bit of a lie-in and missed them (aherm, like us), no worries! There is a bike rental shop around the corner, and pretty much all over Amsterdam. When in Amsterdam, do as the ‘dammers do! If you’re not feeling the pedalling or it’s too cold, tram 5 stops a hundred meters from the hotel and takes you into the centre in about 15 minutes along a nice sightseeing route. The ride will give you a preview of some of the city’s main attractions. You’ll fly past the Museumplein (home to the Concertgebouw, Rijksmuseum, Van Gogh Museum, Stedelijk Museum, etc. ), Vondelpark, the lively Leidseplein square, the big shopping street of Leidsestraat, the Flowermarket at the Singel, and plenty other landmarks. Bonus tip: while in Amsterdam, you should totally have lunch or a drink at Blue Amsterdam, an affordable top-floor cafe with a 360° view. The food is delish, and they even provide binoculars for you to take in the canals and colorful stone houses! Disclaimer: Bauke and I were hosted by citizenM Amsterdam for one night. However, I only accept partnerships with hotels I am genuinely excited about, and all opinions are solely my own! 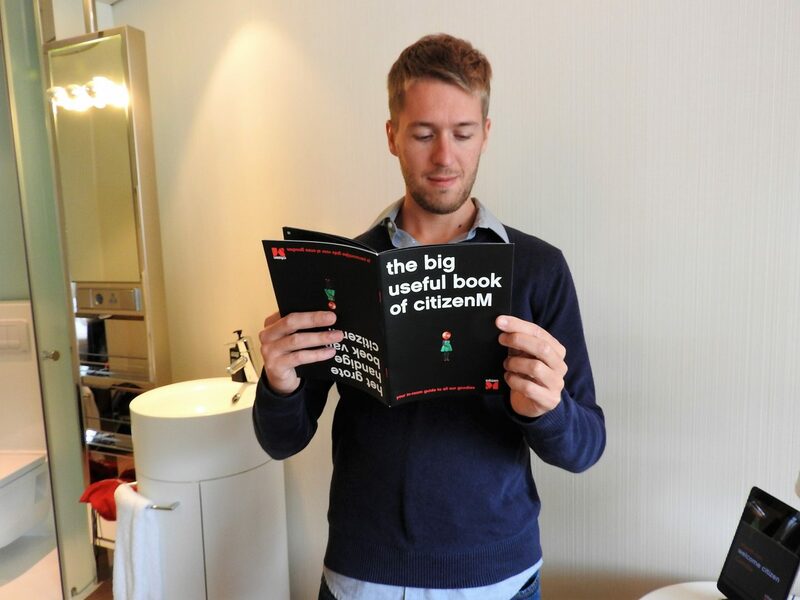 Have you stayed in a citizenM? 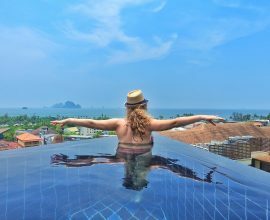 What is the coolest hotel you’ve stayed at? What are your favourite places in Amsterdam? I love hearing from you, so let me know in the comments below! Love the ambiance of the hotel. It totally my kind of hotel. And the pictures truly captured it. Thanks Archer! 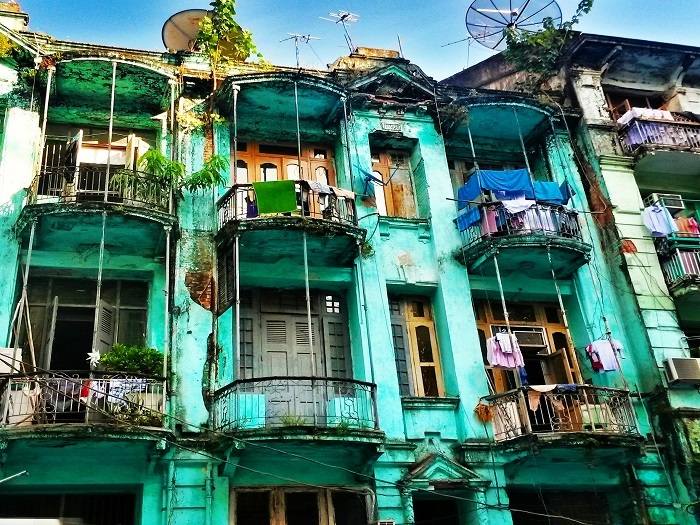 It’s a fantastic place that has really captured the needs of modern, international travellers. You can tell a lot of thought has gone into the design! All the ambience in hotel citizenm is best, very nice quality of food. I enjoyed my stay very well! 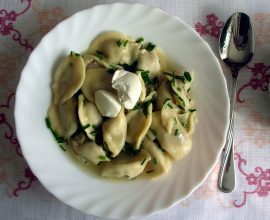 Thanks for the featuring on your blog!